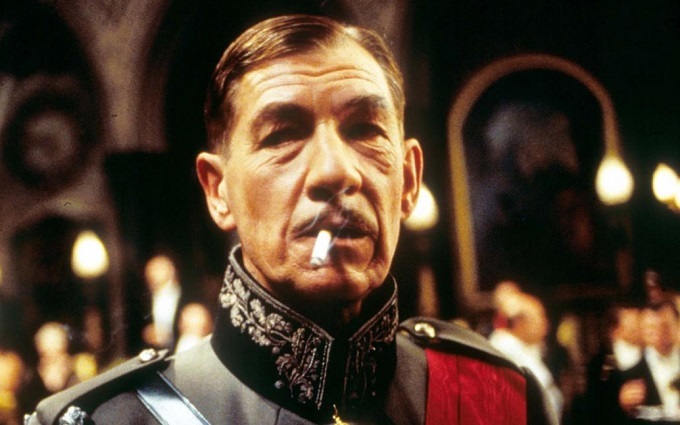 As the world celebrates Shakespeare 400 years after his death, the BFI, the British Council and Ian McKellen today unveiled BFI Presents Shakespeare on Film. With no other writer impacting so greatly on cinema, this programme explores on an epic scale how filmmakers have adapted, been inspired by and interpreted Shakespeare’s work for the big screen. It incorporates screenings and events at BFI Southbank (April-May) and UK-wide, newly digitised content on BFI Player, new DVD/Blu-ray releases and film education activity. As part of Shakespeare Lives, the British Council and the GREAT Britain campaign’s major global programme for 2016, celebrating Shakespeare’s works and his influence on culture, education and society, the BFI has also curated an international touring programme of 18 key British Shakespeare films that will go to 110 countries – from Cuba to Iraq, Russia to the USA – the most extensive film programme ever undertaken. The BFI is also part of the Shakespeare 400 consortium, led by King’s College. 400 years on, Shakespeare’s plays continue to dominate stages worldwide, mostly of course in translation, challenging actors, directors, designers and audiences.The BFI’s “Shakespeare on Film” is more than just timely, it is a glimpse of the matchless collection of brilliant endeavour from world-beating Shakespeare experts like Laurence Olivier, Peter Brook and Kenneth Branagh whose films have popularised Shakespeare over the years. Their theatre-roots are evident. They have respect for the text and cut lines with regret. Other directors have successfully translated the stage plays for the screen, aiming, perhaps to make great cinema than great Shakespeare. Here, I relish Baz Luhrman’s Romeo and Juliet; Julie Taymor’s Titus Andronicus; Orson Welles’ Chimes at Midnight, Kurosawa’s Throne of Blood and Ran. And there are more. I will not be the only one to be grateful to the BFI for their initiative in this anniversary year. Shakespeare has influenced and inspired audiences around the world for centuries. As the BFI undertakes the most extensive film programme ever to celebrate his work, I’m delighted that even more people will have the opportunity to enjoy the legacy of Shakespeare. From new adaptations, to events and a tour through 110 nations, this bold new project will help us remember one the greatest writers of all time. Spearheading the project, award-winning actor and writer Ian McKellen will travel around the world to present and discuss Shakespeare on Film. Ian starred in and co-adapted Richard III (1995), directed and co-adapted by Richard Loncraine and co-starring Annette Bening, Maggie Smith, Jim Broadbent, Kristen Scott Thomas, Robert Downey Jr and Dominic West. The film will be simulcast, in partnership with Park Circus, across UK cinemas on 28 April with a special post-film on-stage discussion between Ian McKellen and Richard Loncraine live from BFI Southbank. With the film set in the 1930s and shot largely on location in London, Ian McKellen will also be hosting public bus tours of the iconic locations in the film, from St Pancras station and Tate Modern to Battersea Power Station and Hackney’s haunting gas holders. Richard III is also being screened at BFI Southbank, will be part of the international touring programme and re-released by the BFI in a DVD/Blu-ray Dual Format Edition on 23 May, with brand new additional material, including new audio commentary. Ian will attend the Shanghai International Film Festival’s Opening Night on 11 June and take part in a special on stage event at the festival on 12 June. Plans for Ian to travel to other countries as part of the tour will be announced soon. Ian’s illustrious career spans six decades and he has been performing Shakespeare on stage and screen for the majority of it: from breakthrough performances as Henry V and Edward II at the Edinburgh Festival (1969) to the title role in Trevor Nunn’s acclaimed production of Macbeth with Judi Dench in 1976 and the opening ceremony of the London Paraylmpics (2012) when he portrayed Prospero from The Tempest. No writer has had greater impact on cinema – or inspired more films. At the latest count, IMDb lists Shakespeare as the ‘writer’ of 1120 titles. For me the best adaptations of Shakespeare are those that have taken his themes, situations, characters or language and presented them in ways that are purely cinematic: from the immediacy of the epic, bloody battles of Branagh’s Henry V or Kurosawa’s Ran (King Lear) to the intimacy of the close-ups used in the love scenes of Zeffirelli’s Romeo and Juliet. Film and TV makes Shakespeare’s work more accessible than any other medium and the BFI National Archive looks after the world’s largest collection of film adaptations of his work so I’m delighted that so many of them are going to be shared with audiences across the world in cinemas, online and on DVD. It is believed that around 500 Shakespeare films were made in the silent era and this new film is a playful compilation of scenes from the best surviving adaptations held by the BFI National Archive, including the first ever Shakespeare film King John (1899) and a rare discovery of a 20-year old John Gielgud’s earliest appearance on film in Romeo (1922). Other films from the 26 titles sampled include The Tempest(1908), The Merchant of Venice (1916) – shot on location in Venice, Julius Caesar (1909), Macbeth (1909) and Richard III (1911). The BFI has commissioned the musicians and composers of Shakespeare’s Globe to write a score for the film which will take an innovative approach, marrying a different composer for each of the film’s five acts (see Notes to Editors for credits). The film will premiere at BFI Southbank, play UK-wide in cinemas and on the international tour, and will be available in the summer on BFI DVD and BFI Player. The BFI is working in partnership with the British Council, as part of the global Shakespeare Lives in 2016 programme, to present 18 key British Shakespeare films in 110 countries, with activity ranging from single films shown in embassies, schools and English language teaching centres, to film programmes in partner cinemas, film festivals and in grand scale outdoor events. Many of the international events will be offered free of charge, so will be widely accessible to a variety of audiences from Azerbaijan to Zimbabwe. The programme will feature key titles including Loncraine’s Richard III (1995), Zeffirelli’s Romeo and Juliet (1968) and the BFI’s Play On! Shakespeare in Silent Cinema compilation. Also featuring as part of the Shakespeare Lives programme will be an exciting package of brand new Shakespeare-inspired commissions produced by Film London. The programme launches on 31 March with the premiere of Play On! Shakespeare in Silent Cinema with the score performed live by the Shakespeare’s Globe musicians. April will focus on the Classics, including Laurence Olivier’s Hamlet (1948), Kenneth Branagh’s Henry V (1989), Roman Polanski’s Macbeth (1971) and Franco Zeffirelli’s Romeo and Juliet (1968) brought to life with a new 4K restoration and presented in a special event and extended run at BFI Southbank and a UK-wide release by Park Circus. In May, Shakespeare Re-imagined will explore how filmmakers have taken inspiration from Shakespeare’s texts and re-interpreted them. Screenings include a newly re-mastered All Night Long (Basil Dearden, 1961) set in the London jazz world and inspired by Othello; a new restoration in 3D of George Sidney’s musical Kiss Me Kate (1953) and Gil Younger’s 10 Things I Hate About You (1999) starring Heath Ledger – both based on The Taming of the Shrew; Derek Jarman’s The Angelic Conversation (1985) featuring Shakespeare’s Sonnets read by Judi Dench, and Gus Van Sant’s My Own Private Idaho(1991) based on Henry IV parts 1 and 2 and Henry V. Fred M Wilcox’s Forbidden Planet (1956) puts a sci-fi spin on The Tempest, Theatre of Blood (Hickox, 1972), inspired by Shakespeare’s death scenes, will appeal to horror fans while The Lion King (Roger Allers/Rob Minkoff, 1994) gives younger audiences a route into Hamlet. International adaptations include a new 4K restoration of Ran (1985), directed by Japanese master Kurosawa and based on King Lear, which will have an extended run at BFI Southbank and is being released by STUDIOCANAL and Independent Cinema Office UK-wide from 1 April and on DVD/Blu-ray on 2 May. A focus on Indian Shakespeare from 29-30 April will feature three films from Indian director Vishal Bhardwaj; Maqbool (2003), Omkara (2006) and Haider (2014), based on Macbeth, Othello and Hamlet respectively with Bhardwaj himself discussing the films on stage with the scriptwriters. BFI Southbank will also be previewing, with on-stage cast and crew interviews, The Hollow Crown: The Wars of the Roses, Henry VI part 1 & 2 starring Tom Sturridge, Hugh Bonneville, Sophie Okonedo, Sally Hawkins, Michael Gambon and Benedict Cumberbatch, on 29 March – due to be broadcast on BBC Two in April. A new BBC Arena Documentary ‘All the World’s a Screen: Shakespeare on Film’ previews on 14 April which will look at the complex history, artistic contradictions and cultural achievements of Shakespeare, as translated into moving image. The film will be co-produced by Arena series editor Anthony Wall and Film London Chief Executive Adrian Wootton. The BFI is also a partnering with the BBC on their Shakespeare Day Live, on BBC Arts and online on 23 April, providing archive film footage. The BFI National Archive holds the world’s greatest collection of moving image material relating to Shakespeare, the world’s greatest playwright. Now, thanks to National Lottery funding through the Unlocking Film Heritage project, many rare and exciting Shakespearean film and television titles – some unseen for decades – have been digitised and are being made available to audiences nationwide for viewing online, often for the very first time, on BFI Player. These include: animations including Oh’Phelia A Cartoon Burlesque (1919), vintage travelogues, musical novelties, newsreels, adverts and rarely seen fiction shorts and features inspired by the Bard’s works, ranging from period drama The Immortal Gentleman (1935) to contemporary comedy Romeo of the Spirits (1976).